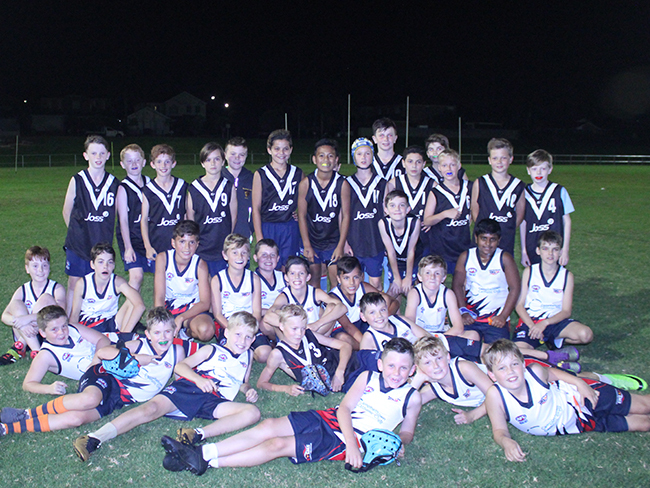 Last night the Academy wrapped up it’s AFL Junior Boys’ & Girls’ Development program with a matchplay against our neighboring Academy the South West Sydney Academy of Sport. The Development program was 10 weeks long and provided the local junior players opportunities in areas of technical skill, education and personal development. The matchplay was a chance to show the accumulation of skills developed within the 10-week program. The matchplay, held at Greenway Park, West Hoxton gave athletes their first chance within the program to verse another team in an AFL match. Three groups played on the night including boys U11’s, boys U12’s and girls. The matchplay was an exciting way for the group to finish off the program giving them a chance to play the game without the pressure of scoring or wining. The main goal of the night was to enjoy playing AFL whilst also using the skills they’ve developed over the duration of the program.